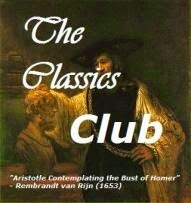 My draw for the Classics Club Spin which I was happy about because it was short and I already had it downloaded onto my Kindle but despite that I have a feeling it would have been a title I kept putting aside in favour of something else. The Magnificent Ambersons was published in 1918 and in 1919 won the Pulitzer Prize. The novel is the second in a trilogy which traces the growth of America from the end of the Civil War to early 20th century through the rise and fall of the Amberson family. 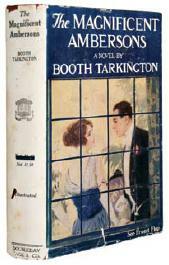 The fictional small town that became a city was inspired by Booth Tarkington's hometown of Indianapolis. The magnificence of the Amberson's began in 1873 when Major Amberson 'made a fortune', bought two hundred acres , built himself a mansion on four of them, and laid out the rest with streets lined with trees and statues and fountains at the intersections. The Amberson's were prosperous fish in a small pond. The first chapter tells of these early days and is quite delightful. In great detail it describes everything from men's beards to women's dresses, how the townspeople lived, ate and entertained and it mourns the 'vanishings' - the 'little bunty street cars', the 'all day picnics in the woods', the 'serenading' and the ' New Year celebrations'. 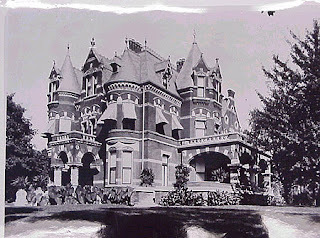 Another mansion is built close to the first when the Major's daughter, Isabel, marries Wilbur Minafer. Isabel and Walter have one child, a son called George and it is his story that is the main focus of the book. Over-protected and over-indulged George is an obnoxious child who grows into an arrogant and inconsiderate young man who thinks the world owes him because of his social position. He falls in love with Lucy Morgan without being aware her father was once a suitor of his mother. Eugene Morgan is an inventor with an interest in the development of the horseless carriage - an interest the Amberson/Minafers don't share. "Those things are never going to amount to anything. People aren't going to spend their lives lying on their backs in the road and letting grease drip in their faces. 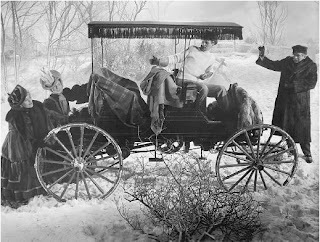 Horseless carriages are pretty much a failure.. "
This attitude reflects the Amberson's whole approach to life, their inability to change and progress or to see that the days of being wealthy and idle are swiftly passing. In sharp contrast is Eugene Morgan who begins with nothing and with a combination of vision and hard work becomes an industrial tycoon.
" It may be that they will not add to the beauty of the world, nor to the life of men's souls. I am not sure. But automobiles have come, and they bring a greater change in our life than most of us suspect. They are here, and almost all outward things are going to be different because of what they bring. They are going to alter war, and they are to alter peace." The Magnificent Ambersons is written in a simple, direct style and enlivened with a great deal of humour which I hadn't expected and had me laughing constantly especially in the first half . Beneath the lightheartedness there is a sadness and a reminder of how quickly the environment and life can change. Worth reading for it's portrayal of early 20th century American life. So glad to hear you like it! I bought a copy at the library book sale last summer and am even more anxious to read it now. Considering I listed it under American male authors I expect not to like it was a pleasant surprise. Hope you will enjoy too. I have always meant to read this, having seen the film more than once (Joseph Cotten is wonderful in it) - but I had no idea it is part of a trilogy! I love continuing stories, and also the time period in which this is set. Prior to reading I didn't know that either - I imagine this is the best of the three and it definitely can be read as a standalone. 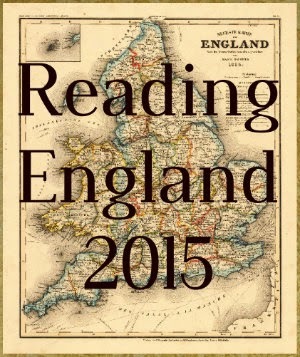 The writing style was very different to what I expected - very easy to read. I'm so glad you enjoyed it too. Curiously, even though we didn't discuss it, I liked knowing there was someone out there in the big, wide world reading the same book at the same time! I also thought of you while reading and wondered how you were liking it. I will have to seek out the movie. I was curious to know what you made of this one, because I love the film but I had no idea that was a book - and certainly not part of a trilogy - until quite recently. Another one for the wishlist!